District 30’s Environmental Awareness Committee (EAC) mission statement is to "promote responsibilityto improve and preserve the environment." The EAC Committee Meets Next at 1:30 p.m., May 14 at Wescott School! The EAC has been an integral part of the school community for over 20 years. Assistant Superintendent for Curriculum and Instruction, Dr. Melissa E. Hirsch, has been working with a committed group of individuals by developing and initiating environmental activities district-wide. The EAC’s goals include supporting environmental activities at the schools and re-affirming sustainable practices in the lunchrooms. In addition, the committee’s focus is on continuing to build and maintain school gardens for conservation at Wescott and Willowbrook School. • Maintaining the prairie garden at Wescott School, as its plant species continue to enhance aesthetic and butterfly attractiveness. The group is also managing the butterfly and pollinating insect conservation gardens at Wescott and Willowbrook (new spring 2018) Schools. • Hosting a pumpkin recycling and composting activity following Halloween for the past two years. Other actions that have taken place to help raise environmental consciousness include the recycling of electronic equipment, clothing, books, and shoes at the schools. Earth Day assemblies and Arbor Day celebrations also help educate and promote sustainability at our schools. 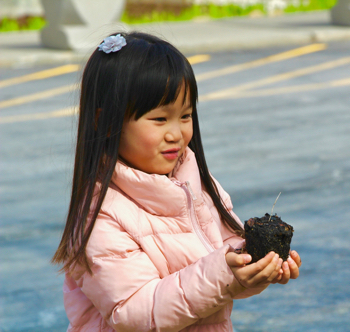 Go Green Northbrook will present Earth Day for Kids in conjunction with Northbrook’s Earth and Arbor Day, from 9 a.m.-12 p.m., April 13 at Village Green Park. Go Green representative Sarah Sanford said, "Bring your kids to learn about native species of birds and animals, worm composting, and recycling. There will be a mini hike to take, a kayak to try out, and fun crafts to do with volunteers from GGN and Girl Scouts." The sponsor is Lynn Barras at Baird and Warner. The Northfield Township Road District will host an open house for its new recycling facility on Tuesday April 2 from 11:00 a.m. to 1:00 p.m. at it’s new location, located at 237 Melvin Drive in Northbrook. The free event will celebrate the Road District’s new facility, kick off the 2019 recycling season, and commemorate Northfield Townships’ 169th anniversary. Light refreshments and facility tours will be provided. A ribbon cutting is scheduled for 11:30 a.m. The Northfield Township Road District’s recycling facility accepts a wide variety of items for charitable re-use or responsible recycling, which are listed in detail on the Road District’s website. Drop off hours are Monday through Friday 7am to 3pm until November 1, 2019. In addition to weekday recycling, the Road District also hosts off-site recycling and paper shredding events at locations around the community. Residents are encouraged to check the Road District website for scheduled events. For more information about Northfield Township recycling programs, call the Road District at (847) 724-7055. Located in northern Cook County, Northﬁeld Township represents nearly 78,000 people. Under Highway Commissioner Tim Rueckert's leadership, the Road District provides efficient and economical services for residents in the unincorporated areas of Glenview, Northbrook, and Northfield. Working together in a cooperative and professional manner with neighbors, Cook County, the State of Illinois, and the surrounding villages, problems are identiﬁed, and practical, cost-effective solutions are developed utilizing the resources at hand. The Road District is located is 237 Melvin Drive, Northbrook. For more information visit Northfield Township Road District or call 847-724-7055. 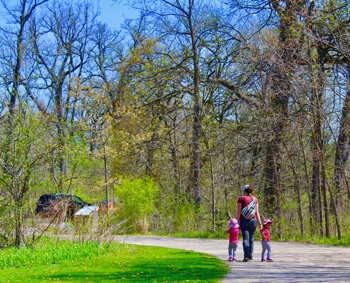 Donation per walk: $20 These events are being held to bring people into the forest and also to help Go Green Northbrook continue the work in bringing more natural connections with the community. Note: Held entirely outdoors, rain or shine. Wear comfortable clothing and walking shoes or boots. If the weather is cold, dressing in warm layers is recommended. If weather forecast has inclement weather such as sub-zero temperatures, snowstorm, we will notify you the evening prior to the walk about cancellation and re-schedule date. Supplies:A hat, sunglasses (if needed), gloves and multiple layers. Optional supplies to bring if you wish include a sketchbook/journal or hand warmers, if needed. Please--no cell phone or electronics use during the walk. Recommended ages: Adults, ages 18 and over. Looking for volunteers to talk to restaurants about reducing their plastic waste. We have a small team and are looking forward to training more people. Residents have permission from the Village of Northbrook to put out recycling bins for items that are not included in our regular collection. Collection bins are in the lobby of Northbrook Village Hall and the Metra Station. On November 8, Willowbrook School third-graders participated in the second installation of plantings in the new butterfly garden, which is located in front of the school. On Halloween, ecological restoration expert Rob Sulski with Foot Stone Inc. and retired Glenbrook North High School science teacher Mike Piskel prepared the garden by augering holes for the plant plugs. The plugs are homegrown from Mr. Sulski's garden. First graders planted the first 250 plants last spring, and there were still a few Purple Asters flowering on November 8, when the temperature was in the 40's! The duo arrived at Willowbrook with over 250 plant plugs representing over 20 varieties for Marcy Cohen and Jessica Braiman's students to take part in the planting process! Mr. Sulski was very engaging and informative about each plant species, as he handed plants out to over 40 students during over one-hour period. According to Ms. Obradovich and Ms. Goss, in science class, "Third graders have been constructing arguments to support the idea that plants have external structures that function to support survival, growth, behavior, and reproduction." "This is exactly what Mr. Sulski was explaining when he was describing the long roots of the prairie plants. Some of the students noticed the roots were longer than the plants themselves. One student observed that the roots on his plant were more than double the height of the plant," said Ms. Obradovich. "Third-grade scientists have also been planning and conducting their own investigations to determine the needs of plants to grow," added Ms. Goss. The installation of butterfly and prairie gardens at Willowbrook and Wescott Schools are initiatives supported by District 30's Environmental Awareness Committee (EAC), which is led by Assistant Superintendent for Curriculum and Instruction, Dr. Melissa E. Hirsch. EAC Hosts Successful Pumpkin Recycling Drive! On November 1, District 30's Environmental Awareness Committee (EAC) with Assistant Superintendent Dr. Melissa Hirsch, hosted a very successful pumpkin recycling event at Maple School. Thanks to a dedicated and environmentally-conscious community, in less than three hours, the two-yard toter was filled with donated pumpkins, which will all be recycled into compost by Waste Management! Thank you to EAC member Tracey Becker and parent Catherine Caporruso Hartman, who volunteered at the event! The EAC appreciates the efforts of all community members who supported this event! EAC's mission statement continues to be "The EAC is dedicated to promoting responsibility to improve and preserve the environment." EAC members include Chris Brown, Tracey Becker, Rachel Hawkins, Decima Panitch, Sergey Sinelnikov, Beth Preis, and Sammi Nadel. The EAC committee held its first meeting of the year on September 26, with Assistant Superintendent for Curriculum and instruction, Dr. Melissa E. Hirsch. This year’s committee members include Dr. Chris Brown, Decima Panitch, Tracey Becker, Rachel Hawkins, Sergey Sinelnikov, Beth Preis, and Sammi Nadel. The committee discussed updating goals for the 2018-19 school year, continuing to build school gardens for conservation, Walk to School Day, and plans for a post-Halloween pumpkin composting activity. Watch for updates in future Friday Flyers. Plant the Garden and the Pollinating Insects Will Come! Wescott School's butterfly garden was planted two years ago, and is now flourishing and attracting butterflies and pollinating insects. This was one of District 30's Environmental Awareness Committee's initiatives, which includes building and maintaining gardens for conservation at the schools. At that time science specialists Kery Obradovich and Kristin Goss brought students out to help plant the garden with environmental specialist Rob Sulski, with Foot Stone, Inc. Invite SWANCC staff to give a presentation about solid waste technologies, waste reduction tips and what individuals are doing to be more “green” to groups of 25 or more. Information will be adjusted for age-appropriateness. Join the Elist for Educators to be notified of resources for educators related to waste reduction, recycling, composting and resources relevant to the classroom. Chances are good that we have previously hosted a workshop with your current needs in mind; however, there is always room for new topics. If you have suggestions, call SWANCC at (847) 724-9205 or write info@swancc.org. Community groups, organizations or schools in Glenview can borrow a display board highlighting community and educational programs offered by Solid Waste Agency of Northern Cook County (SWANCC), along with examples of Agency resources. Contact SWANCC for details at info@swancc.org. Willowbrook School's daffodils were in full bloom the day that first graders participated in the planting of the new butterfly garden. District 30's Environmental Awareness Committee partnered with Rob Sulski of Foot Stone, Inc., who has worked on Wescott's prairie and butterfly gardens for the past few years. Early in the morning of April 24, he augured holes in the soil in the front drive near the flagpole. Everything was ready for the first-graders to plant by 9:30 a.m.
Fifth-grade teacher Heidi Fletcher said, "Our first-grade classes were invited to plant this butterfly garden due to the natural connection with their life science unit. They rotated in/out of the garden in 20-minute increments between 10:00 a.m.-11:00 a.m."
Mr. Sulski met with each class at the main entrance and provided directions before planting. Over the course of just over an hour, 25 species and 256 plants were planted by the children! He will come back in the fall with 250 more plants for the garden! Many of the students repeated the name of their plant as they put it gently into the soil and patted the dirt around it. Mr. Sulski provided plants grown from his own garden, and some of them included Michigan Lilly, Northern Drops, Red Grass, Blue-Eyed Grass, Purple Cornflower, Wild Geranium, Prairie Phlox, Blue Aster, Leadplant, Shooting Star, and more! He told them to wait until the plants get bigger, and they will see butterflies and pollinating insects visiting the garden! Throughout the morning, the sunshine and fresh air seemed to bolster the kids' moods. Happy voices shouted out, "This is so fun!" "This is so cool." On Arbor Day, April 27, representatives from the Glenview Lions Club shared information about tree care, Arbor Day, and distributed Norway Spruce saplings to fourth graders at Wescott and Willowbrook Schools. Glenview Lions’ member, Terry Dooley, with volunteer Anne Gardner, arranged for fourth graders at Wescott and Willowbrook Schools to receive the saplings, courtesy of the Fourth Grade Foresters’ USA tree distribution initiative. The organization's goal is to revitalize the celebration of Arbor Day in America’s Schools. Since its inception in 2007, over one million trees have been planted nationwide. Mr. Dooley maintains, "Now in the era of global warming and air pollution, tree planting is even more important than ever. Trees take carbon dioxide out of the atmosphere to help reduce warming and help clean the air we breathe. Planting trees is a simple, inexpensive, and easy way to address the problem." "We don't throw trash in the sea!" This important message was part of a song that elementary students learned during an assembly on climate change, that was organized in honor of Earth Day, which takes place on April 22 this year. District 30's Environmental Awareness Committee (EAC) hosted Mobile Ed Productions' presentation titled, "Our Changing Climate" on Thursday, March 22 at Wescott and Willowbrook Schools. For the younger students, "Dr. Exhaustus", aka Jeff Hoge, discussed ways in which individuals can take better care of the planet. One example was by taking heed of the three R's: Reduce, reuse, and recycle. The older students heard about content elements and how they are all connected to the subject of climate change. Competing scientific points of view about climate change were presented, including the "sunspot theory," "natural causes", and the "greenhouse theory." He discussed how wind turbines work, solar energy, hybrid cars that run on gas and electricity, and the importance of rainforests to the world. "Every second a piece of the rainforest the size of a football field is chopped down. We lose about 31 million acres of rainforest each year," cited Mr. Hoge. The "Dr.'s" goal was to encourage students and teachers to further discuss the various aspects of this topic in their classrooms, using critical thinking to arrive at their own personal conclusions. The shows offered examples of how students can help the environment. While always maintaining the need to take the subject seriously, "Dr. Exhaustus" stressed the importance of a positive attitude, using simple humor to caution against alarm. His two puppets displayed the humorous side during the assemblies, Mr. Gleuwm and Mrs. Deuwm popped up out of a box throughout the assemblies yelling, "It's the end of the world!" and "There is no hope!" At the end of the presentations, Mr. Hoge told inspiring stories of a boy who helped the rainforest and a woman who planted millions of trees. For more information, contact EAC committee chair, Dr. Melissa E. Hirsch at 847-498-4190.